Bumble bees are considered to be beneficial insects because they pollinate crops and plants, but they are prolific pollinators of flowers. 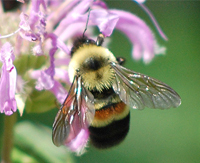 Southeast Wisconsin has several bumble bee species, so size can range from 3/8″ to more than one inch long. The most prolific species has the familiar black and yellow fuzzy stripes. All bumble bees are fuzzy, but their colors can vary. They can also be all black, all yellow, or black and orange. Bumble bee nests are usually found underground in grassy areas, but are also commonly found in cement stoops around patio areas or decks. Most often, they take over abandoned nests of other critters. They will sometimes, but rarely, build their nests in attics or under roof beams. 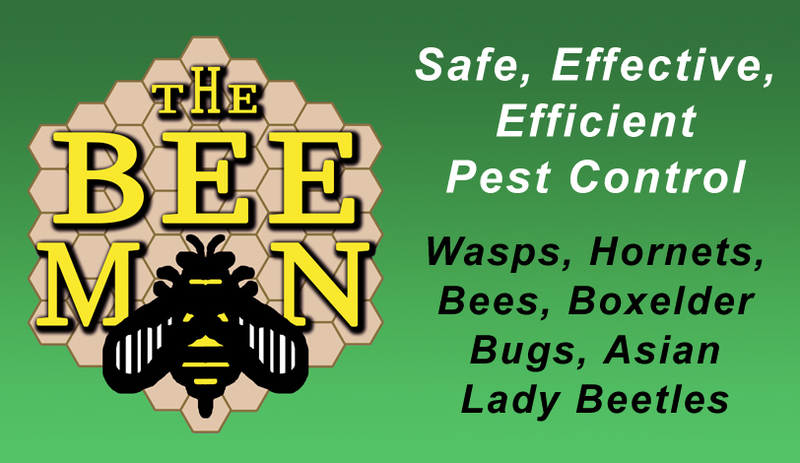 Most colonies contain a few hundred bees. Nests may be up to 12 inches in diameter and may have several entrances. At the end of the season, all inhabitants of the nest die, except for the new queens hatched at the end of the season. Most queens will leave the nest and look for a sheltered spot to hibernate over the winter. In the spring, the new queens emerge and the cycle begins again. Their life cycle is more similar to a wasp than a bee. Unlike honey bees, bumble bees can sting repeatedly. Usually very docile, if disturbed, bumble bees will aggressively defend their nests. When bumble bees decide to nest in a location where people will regularly come into contact with them, sometimes the only option is extermination. Please contact our office for more information. On January 11, 2017, the U.S. 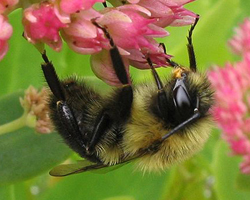 Fish and Wildlife Service listed the rusty patched bumble bee (Bombus affinis) as endangered under the Endangered Species Act. 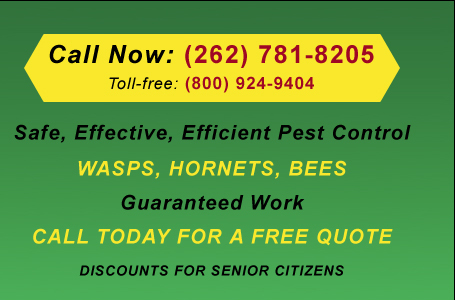 Therefore we do not provide extermination services for this species.